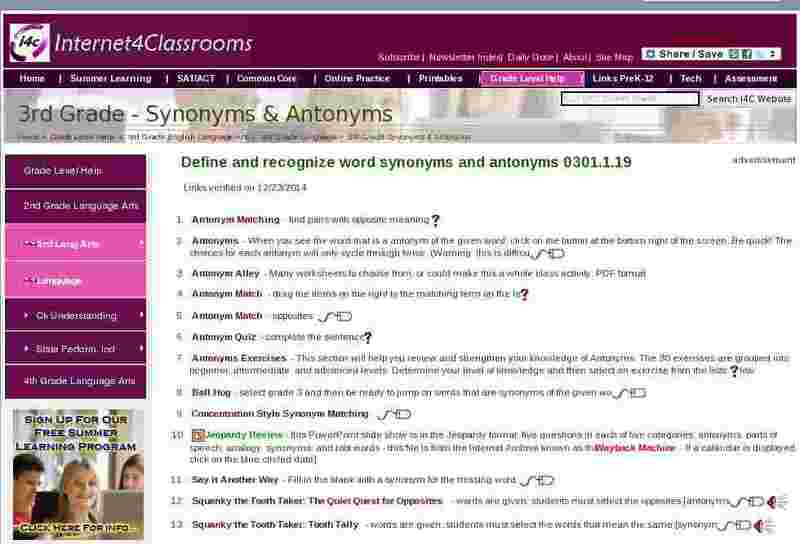 Synonyms Exercises - This section will help you review and strengthen your knowledge of synonyms. The 30 exercises are grouped into beginner, intermediate, and advanced levels. Determine your level of knowledge and then select an exercise from the lists below.